Note: All 2018 CHJA Membership applications will expire on November 30th with the exception of Lifetime. The 2019 Show Year starts on December 1st. We will begin processing 2019 Membershp applications on November 15th. You can apply for your CONNECTICUT HUNTER & JUMPER ASSOCIATION Membership or Horse Recording online! Click on Online Membership Application to the right! The Show Ye ar starts December 1st and ends on November 30th of the following year. Membership in the Association shall consist of eight classifications (USEF Rules on age shall apply). Note: Family: for membership purposes, a Family includes a husband and wife, and their Junior children. CHJA rules stipulate that Membership and Horse/Pony recordings become effective on the day that the completed application and appropriate fees are received by this office. The date the envelope is postmarked will be the effective date provided everything is complete. Online Membership applications and Horse/Pony Recordings become effective on the day the completed online application is submitted providing that the payment is approved and the appplication is complete. Membershi ps and Horse/Pony recordings cannot be transferred or back dated and points are never retroactive. 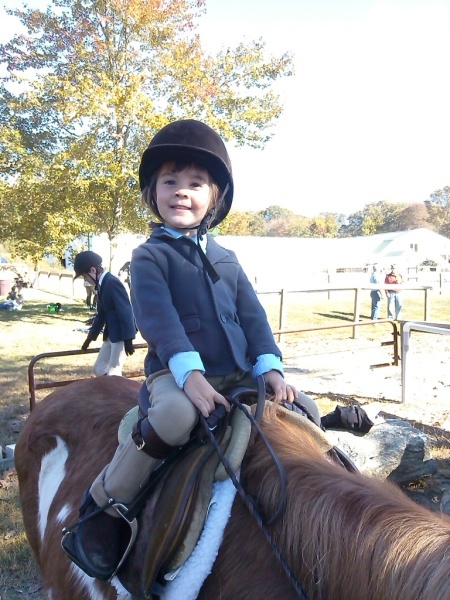 The Owner/Lessee of a horse or pony MUST be an active Junior or Senior member of the CHJA in order for points to count. This includes Lifetime Horse recordings. In addition, points from any show are finalized 30 days after they are posted on the website and cannot be changed. We enforce these rules in order to keep the organization fair and equitable to all of our members. To renew or apply for membership to the CHJA, click on the link to the right to join online or to view and print the application form. If you are showing this weekend at a CHJA recognized show, you can submit the application directly to the Show Secretary and your membership will be effective on the day she receives it provided it is complete and the appropriate fees are included. In addition, it must also be mailed to this office with the show results. That way, any points you earn this weekend will count. If it is not included with the show results, the membership will become effective on the day the application and appropriate fees are received by the CHJA offic e.
Lastly, please remember that it is required under CHJA rules (reflecting USEF rules) that for horse shows to be recognized by the CHJA, both show managers and secretaries MUST be senior members. You can use the same application form on the link to the right.